Mothers around the world have turned to natural muslin to care for their children for countless generations. 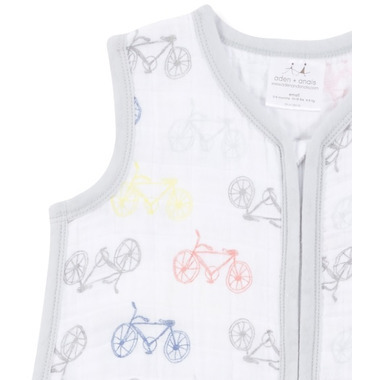 The aden + anais sleeping bags brings this lightweight fabric into the 21st century with colourful, stylish prints and an effortless design to keep a night’s rest safe, comfortable, and peaceful. Love this bag, perfect for summer. Nice and light with lots of room to grow into. Excellent product. Comfortable, breathable and good quality. I've washed mine dozens of times and it still looks/feels great. Love the soft breathable material and print. It does pill and shrink ever so slightly when dried...I did that by accident as I hung dry first couple of times. 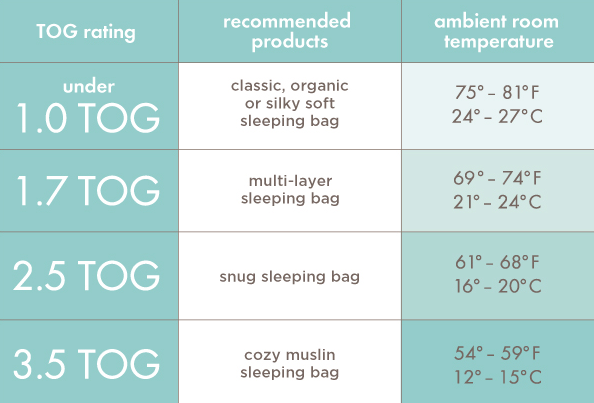 Very lightweight sleep sac. Perfect for warm nights in the summer. But i would want something thicker for the rest of the year. This print was even better in person. The bikes a very cute. 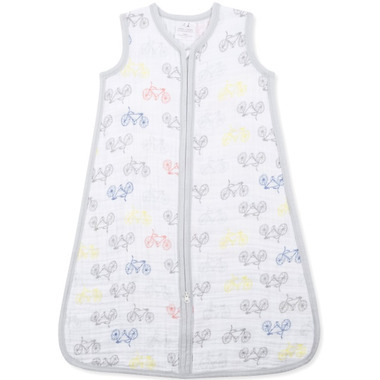 Great lightweight sleep sack for warm days. 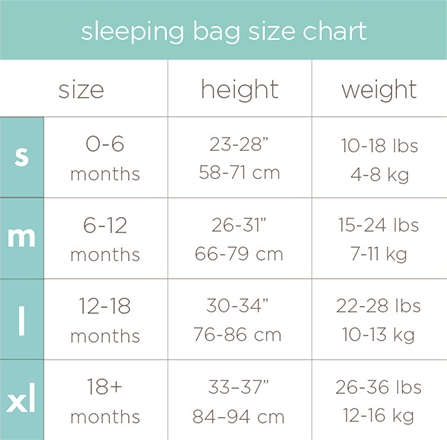 The weight is the same as a typical Aden & Anais muslin swaddle. I washed before use and the zipper buckled a bit even though I dried on low. The quality isn't as good as the Grobag sacks but at half the price they are a great buy!